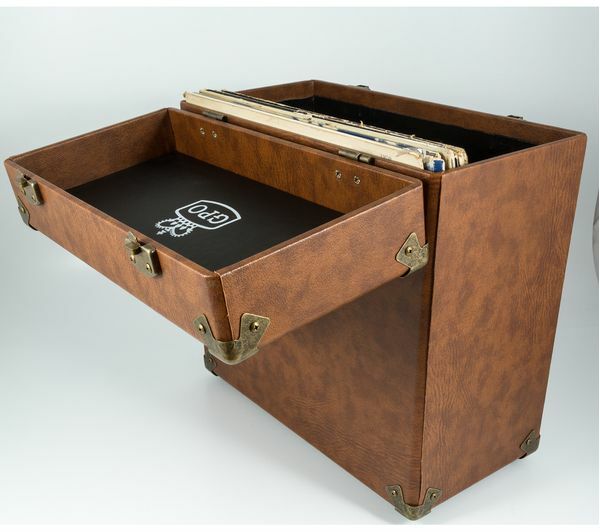 The 12" Vinyl Case allows you to keep your 12" records in mint condition. 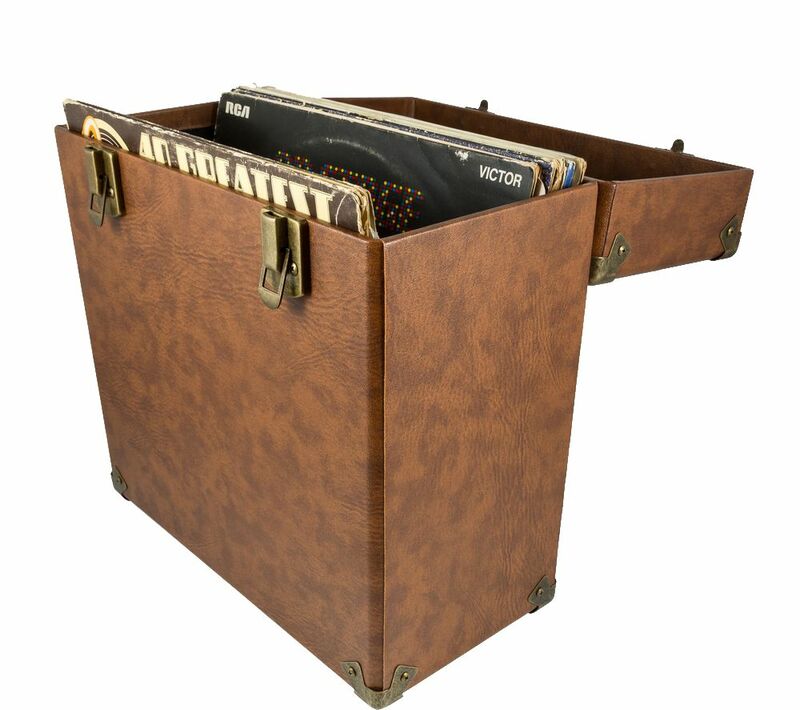 Capable of holding around 30 to 35 records, the case has retro metal corner protectors to keep your collection fully protected. 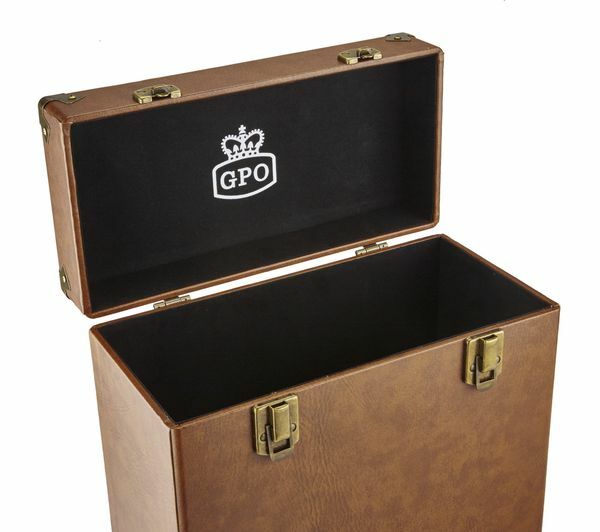 You can quickly and easily add and remove your records from the case as it features a removable lid. For added convenience, the case has a handle to make it easy to transport your collection.